Dynamite baits best sellers in the range. Prices start from £3-30. 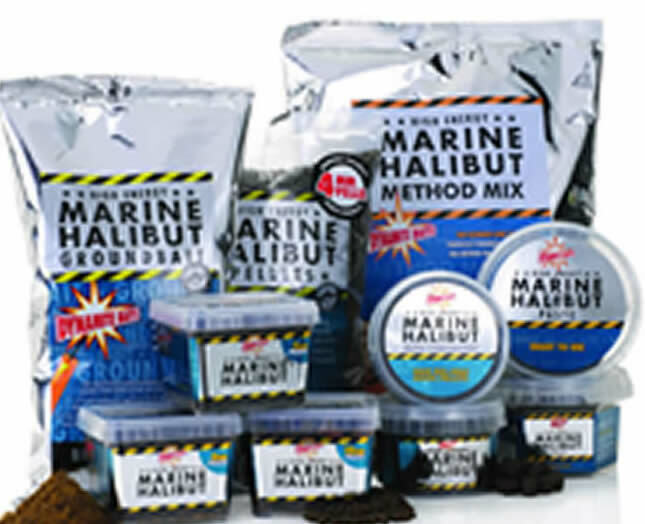 Marine Halibut Hair Rig-Able Pellets. The best selling marine halibut pell ets in hair rig-able hook bait form. Will take a baiting needle or a hook direct. 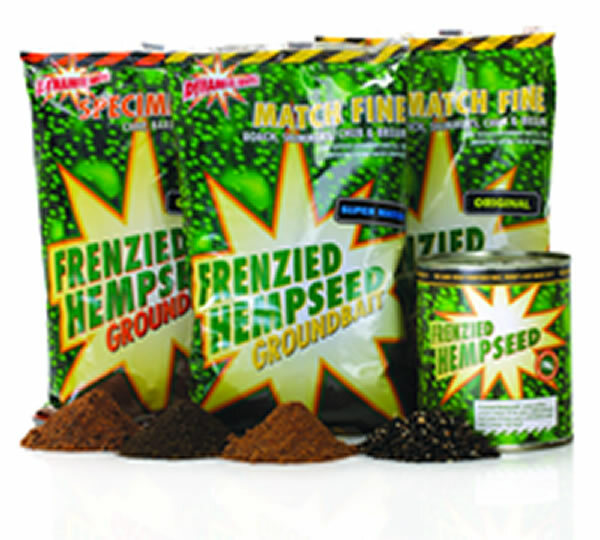 Frenzied hempseed in tins & jars, Original, Spicy Chilli, Garlic. All the effectiveness of the original ready-cooked tinned and jarred hempseed with the addition of two new flavors. Added before cooking, the flavored attractants penetrate deep into each grain to produce what can only be described as th e ultimate in conven ience and fish attraction. 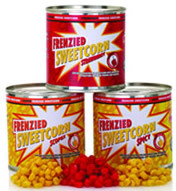 Specially selected sweetcorn with added flavors and liquid attractants in flavors.Strawberry, Scopex, Chilli RRP £1.50 340g tins. Frenzied Luncheon Meat Available flavors. Voodoo by Bait-Tech under the( Van Den Eynde banner) is different to any other groundbait on the market due to the unique, high quality ingredients used, made from the highest graded fishmeals and meat derivatives. Voodoo has taken method fishing to the next level.